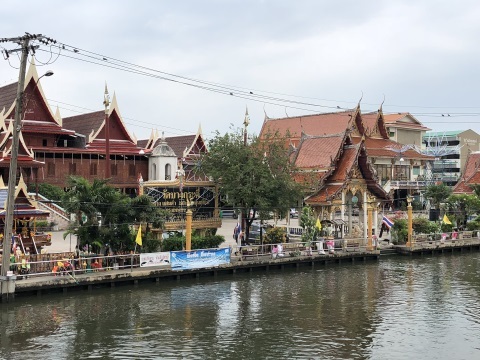 Bang Kradi, home to the biggest Mon Community in Bangkok, is located on the banks of the Sanam Chai Canal. 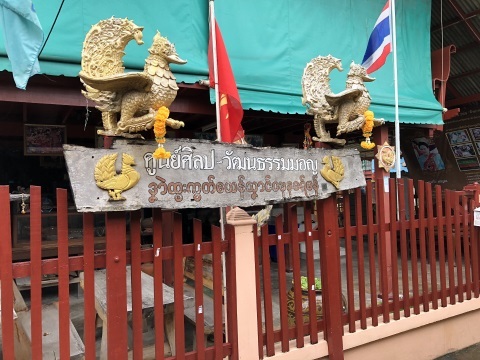 The Mon migrated here from Mahachai, Samut Sakhon in the reign of King Rama IV (1851 – 1868). Sanam Chai Canal links Bangkok Yai Canal in Bangkok to the Tha Chin River in Mahachai. During our visit, we drove to the end of Bang Kradi Road and chanced upon a group of men in boats unloading baskets of fish off the pier. 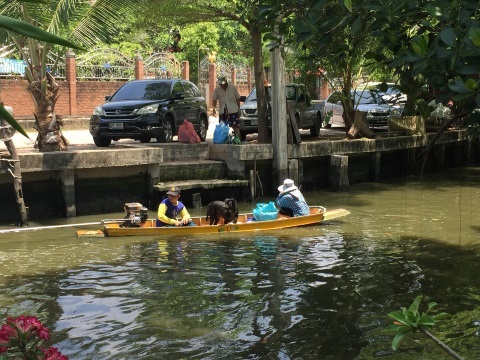 A resident explained that they were supplying fresh fish from the fishermen's wharf in Mahachai to the market here via Sanam Chai Canal. This was probably the migration route of the Mon in this community. The Mon are one of the earliest settlers in old Siam. They had ancient kingdoms in Pegu (present day Bago) on the Irrawaddy delta in Burma and Thaton to the east. 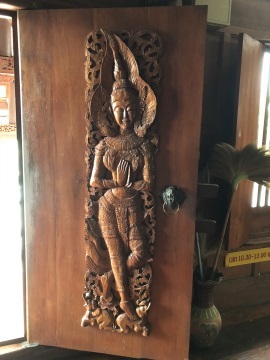 In 6th - 9th C AD, a Buddhist civilisation called Dvaravati was established in central and north eastern Thailand which had a profound impact on Buddhism, Buddhist art and architecture in Thailand. The inscriptions on many of these relics and scriptures are in the Mon language. 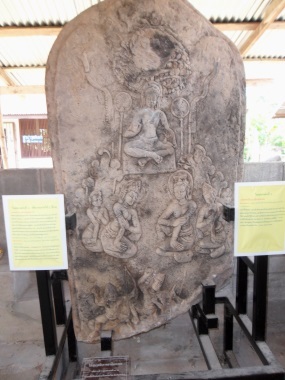 In the 9th – 11th C the Mon established a dynasty in the state of Haripunjaya in Lamphun, Northern Thailand. 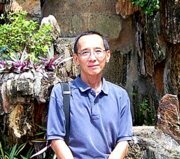 Later in the second millennium, there are two other significant events that caused an increase in Mon migration to Thailand. First the destruction of Pegu the Mon kingdom by the Burmese in the late 1530s and again in 1757. 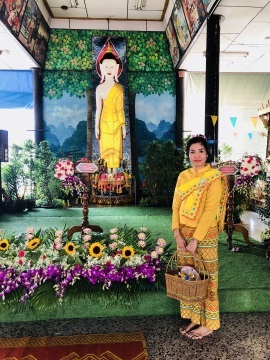 Buddha images and relics of the Dvaravati period are displayed in a number of museums and historic sites in Thailand; Khon Kaen, Lopburi, Nakhon Pathom, Nakhon Ratchasima and Prachinburi. 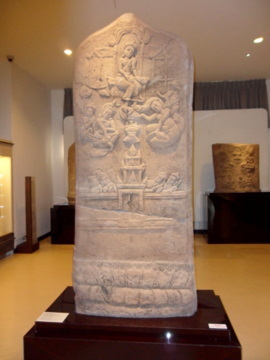 Sema or boundary markers from the Dvaravati period were found in the old ruins of Mueang Fa Daet Song Yang in Kalasin. Thais of Mon descent can be found in many parts of Thailand; Ko Kred in Nonthaburi, Sam Khok in Pathum Thani and Prapadaeng in Samut Prakarn. 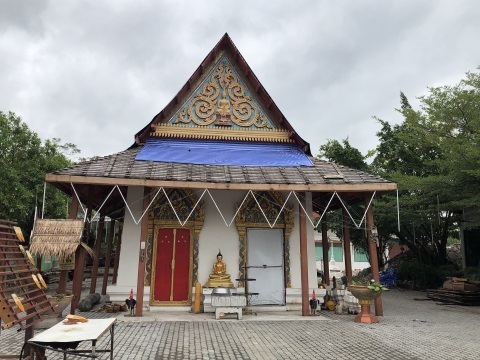 In Bangkok, Mon communities can be found in Lat Krabang, Bangna and Bang Kradi which we will be presenting in this article. 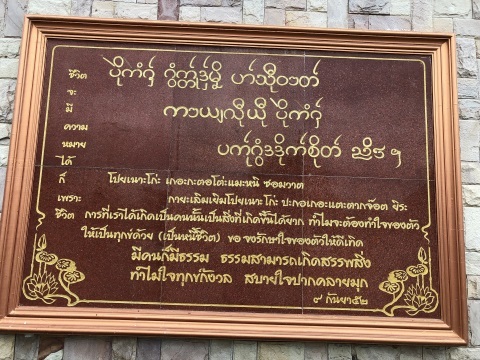 The Mon in this community are descendants of migrants from Mahachai, Samut Sakhon where the Mon first settled. 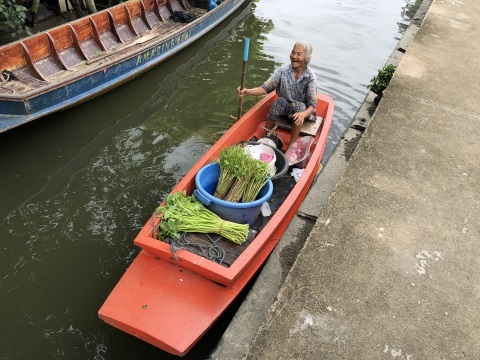 The community has a population of about 6,000 living in about 1,000 houses on the banks of the Sanam Chai Canal. The population here are almost all of Mon origin. 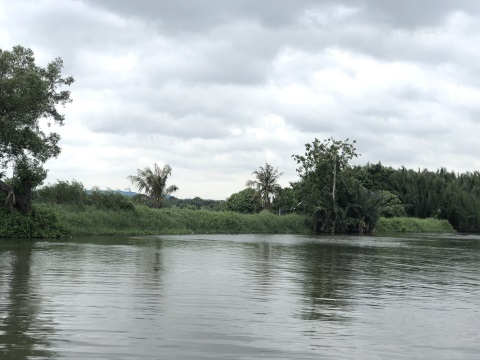 Bang Kradi is administratively divided into three communities or mu; mu ban 2, mu ban 8, mu ban 9, Samae Dam Sub-District, Bang Khun Thian District, Bangkok. 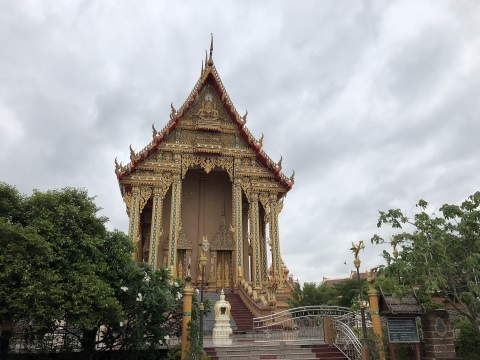 There are two temples serving the residents in the area; Wat Bang Kradi and Wat Suthamwadee. 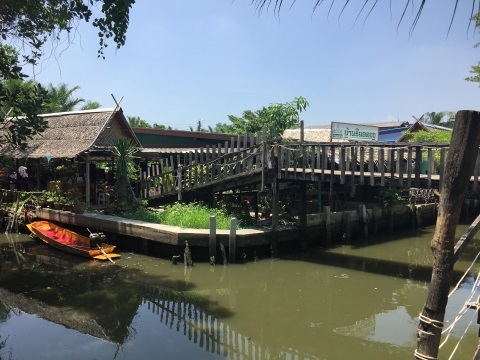 Wat Bang Kradi is more popular as it's on the Sanam Chai Canal and nearer the majority of Mon residents. 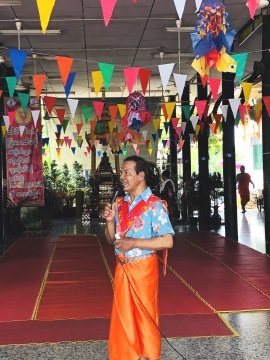 This temple is the centre for community and religious activities for the Mon on occasions like Songkran. The old ubosot (ordination hall) was built in 1877. The new ubosot which was officially opened on 2 July 2008 is spectacular. 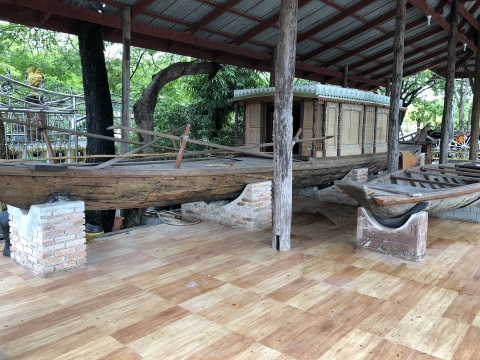 A boat shed near the ubosot displays old boats used for racing on festive seasons. 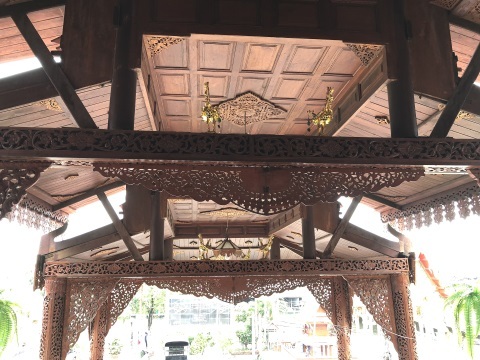 The sala kanprian (multi-purpose hall), where communal activities are held, is made of teak with exquisite carvings on the doors and beams overhead. The signboard outside provides a sample of Mon script. Like most temples located by a canal or river, there is a fish sanctuary. 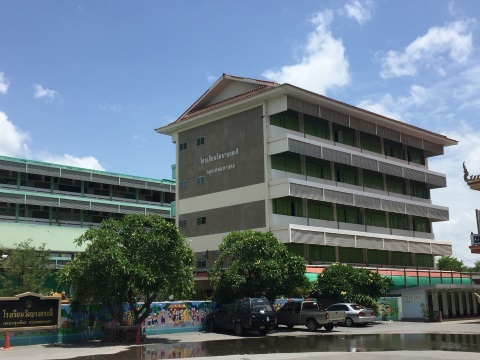 Wat Bang Kradi School provides primary education to the children in the community and it's under the Bangkok Metropolitan Authority (BMA). The Mon form a cohesive community that preserves their art, culture, customs, the Mon language and their way of life. It is this aspect of the community that gives it a distinct identity. We walked down a narrow lane to what we later discovered to be Mu 8. Colourful murals adorn the side wall, houses are linked by a narrow walkway spanning narrow canals. Neat signboards show the way to the various cultural attractions which we will be visiting. Pa (aunt) Piak is famous for her Thai desserts which she prepares and sells from her home. 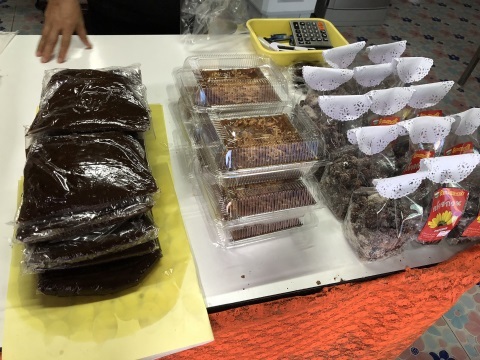 We bought a box and as Pa is not keen to be photographed, here are samples of her mouth-watering desserts. 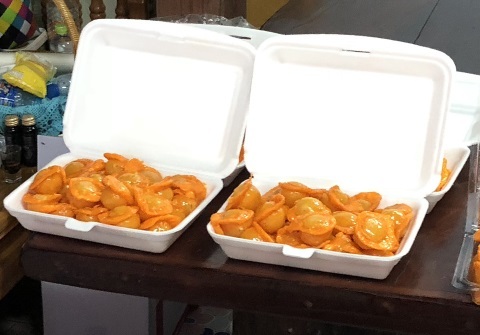 Med kanoon is made from grinding green beans mixed with sugar and coconut milk to a thick paste, use your hands to mould the paste into balls, dip in egg yolk and deep fry. Here’s a video showing how it’s done. 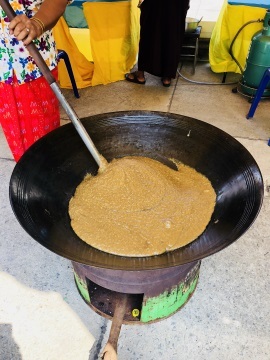 Kalamae is made from boiling and stirring sticky rice, coconut milk, sugar to a thick paste. Another Mon handicraft is embroidering colourful pa sabai Mon or Mon shawls worn on special occasions like Songkran. For ladies, it’s draped over the left shoulder and under the right arm. For men, these shawls are draped over the shoulders and chest in a V-shape. When I saw this sign, I was intrigued. Do they still make and use whips today? It was with a mix of curiosity and trepidation as I walked in. Lung (uncle) the whip maker was warm and friendly and showed us one of his “whips”. It looks like a cat of nine tails, many tails in this case. Actually, it’s a duster to dust off furniture or to chase away flies and mosquitoes. 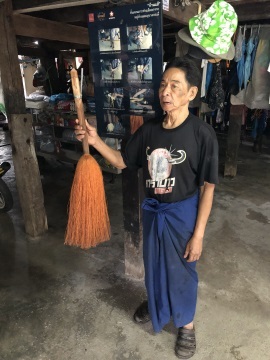 These whips are made from ton jak or the Nipa palm that grows in the mangrove swamp. The leaves are cut off leaving the stalk. Knock hard with a pestle at the top of the stalk to split it, continue knocking the stalk while using the hand to separate fibres. Use a knife to remove the casing on the stalk. 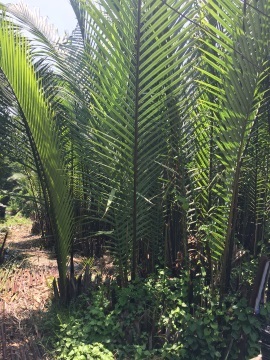 Boil the flowers from the Nipa palm till the water is coloured, then dye the fibres by dipping in the water. 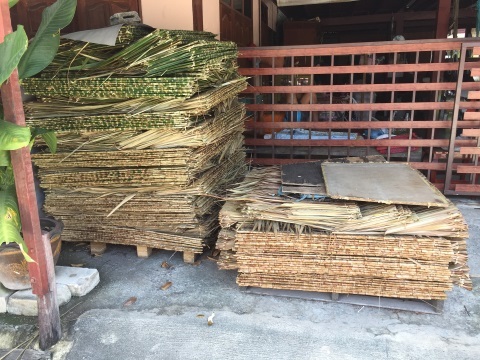 The leaves of the Nipa palm are sewn together and used to make thatched roofs and walls. We were hungry after all that walking and had a bowl of noodles in a shop just by the Sanam Chai Canal. 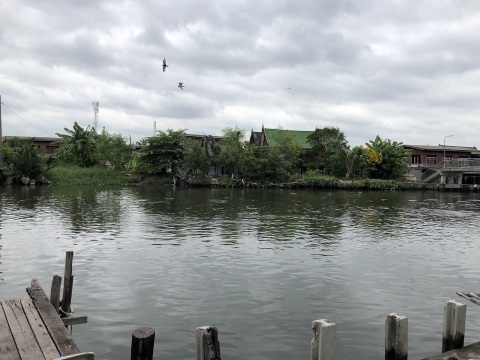 The atmosphere along the Sanam Chai Canal is just wonderful, it’s so scenic and peaceful. 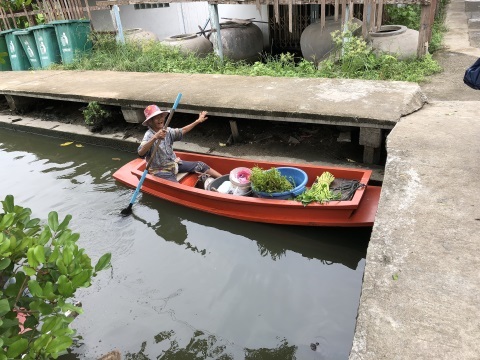 On the way out of the community we met Yai (granny) the vegetables boat vendor selling pak bung (morning glory) along the narrow canals in the community. We bought a bunch for 10 baht! When we requested Yai for a photo, she sportingly agreed and took her hat off. 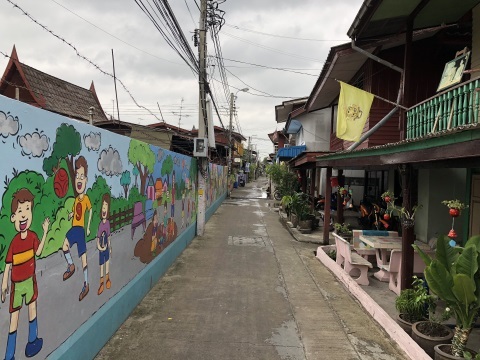 This centre is in the home of Khun Somchai Monkha, the community leader. 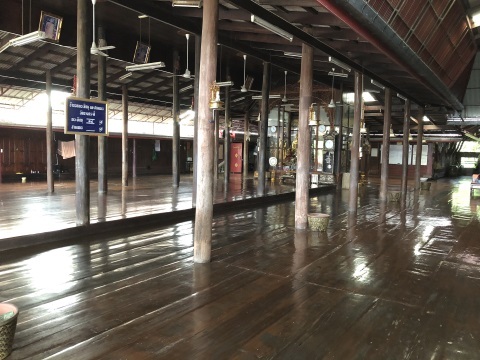 The raised area under the building displays a collection of musical instruments, old utensils, ornaments, Mon scriptures, Buddha images and old photos donated by members of the community. Preserve the ancient Mon culture and serve as a knowledge centre for those interested in learning more about Mon culture. 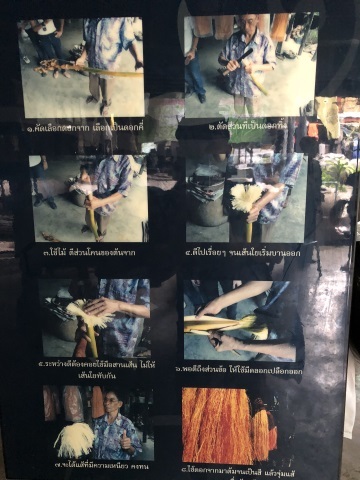 Promote Mon handicraft, embroidery, desserts, games and the Mon language in neighbourhood schools and universities through visits to the centre. 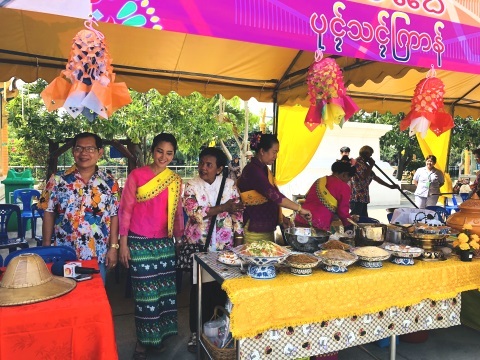 Through cultural activities foster closer bonds among the Mon residents in the community. Promote and publicise the Mon culture through the mass media. We have visited the centre three times but no one was home, tried to call the number on the signboard but got no answer. We will have to try again. 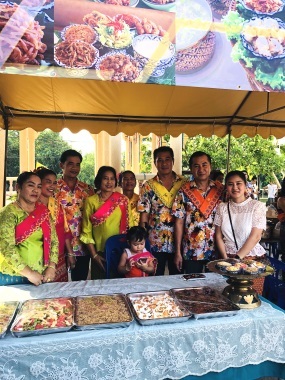 The Mon Songkran Festival is held immediately after the Thai Songkran in the grounds of Wat Bang Kradi and it’s one of the most colourful Mon festivals. 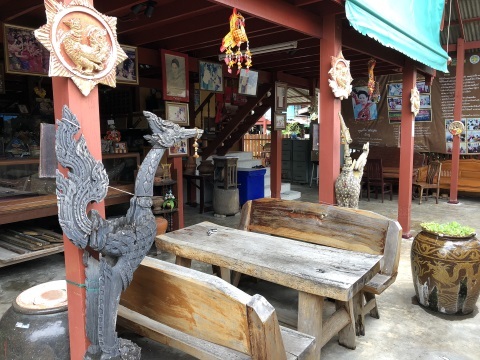 When you have finished exploring the Mon community here, drop in at the Ban Rim Khlong Restaurant for a taste of the local food. Watch life go by in this community, boats are still a common form of transport along the narrow canals. 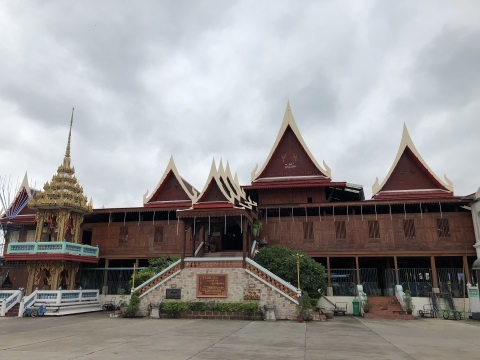 I read about Bang Kradi years ago when I visited the Bang Khun Thian Museum but never got down to visiting this place until recently. 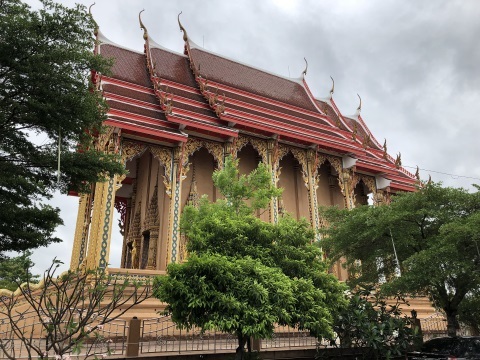 I’m glad I did because it’s one of the cultural treasures in old Bangkok that one doesn’t often stumble upon. Please refer to the satellite map of Bang Kradi showing the location of the various places visited. Rama II – at 11 km mark turn left to Bang Kradi Road for about 3 km till you get to Wat Bang Kradi.